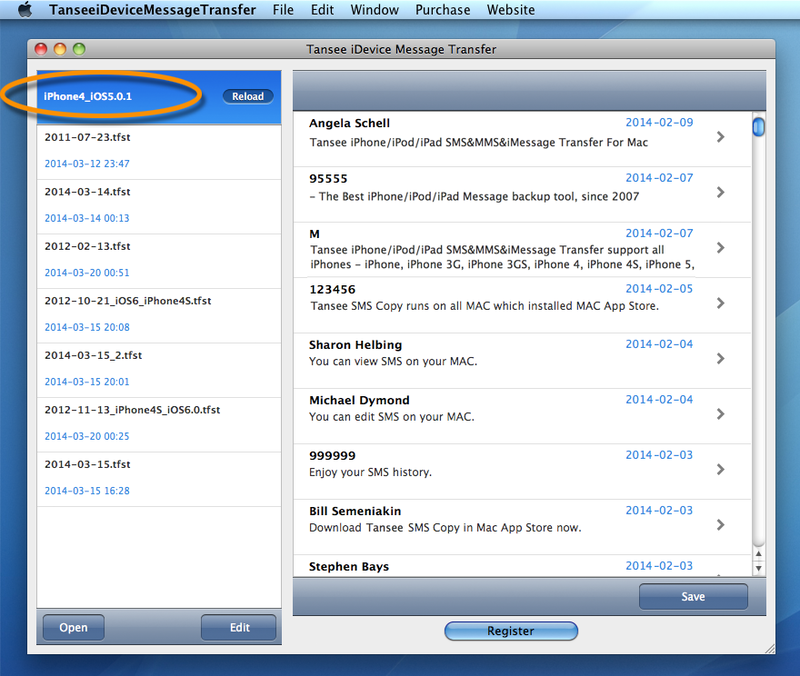 Download and install Tansee iPhone/iPad/iPod SMS&MMS&iMessage Transfer MAC free version here. And please install the latest version of iTunes, make sure iTunes can read your iPhone/iPad/iPod. 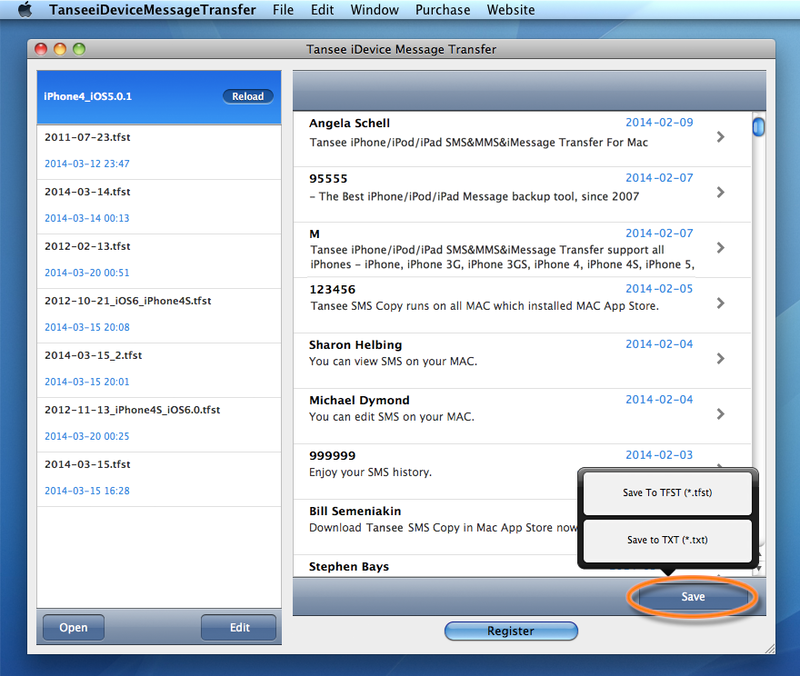 Run Tansee iPhone/iPad/iPod SMS&MMS&iMessage Transfer for MAC. 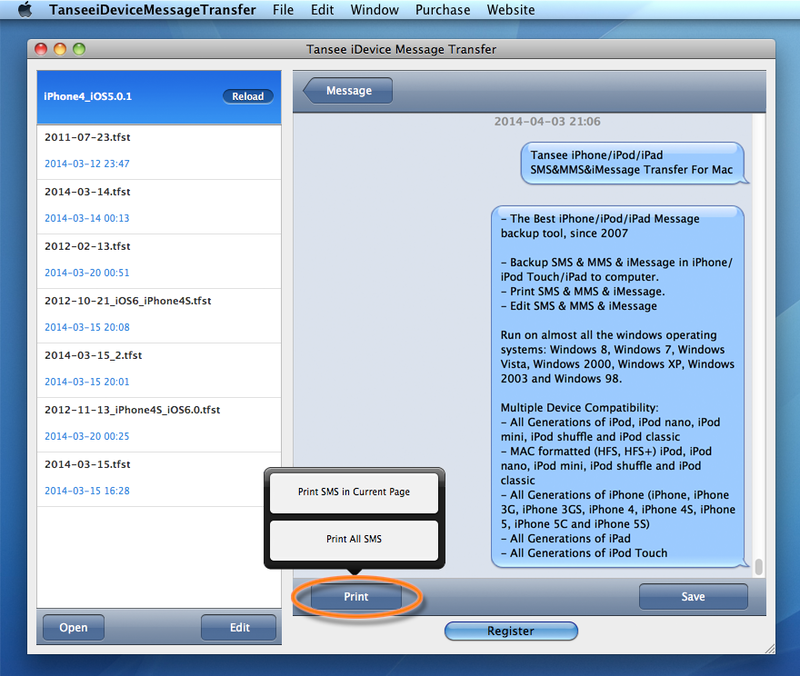 Connect iPhone/iPad/iPod to your MAC via a USB cable, and then all the messages will be displayed automatically. (If it is reading data, please wait. That might because you have lots of apps or photos, it will take longer time reading data. At most 1 hour.) Click the button labeled "Copy" which can be found at the bottom of the screen. 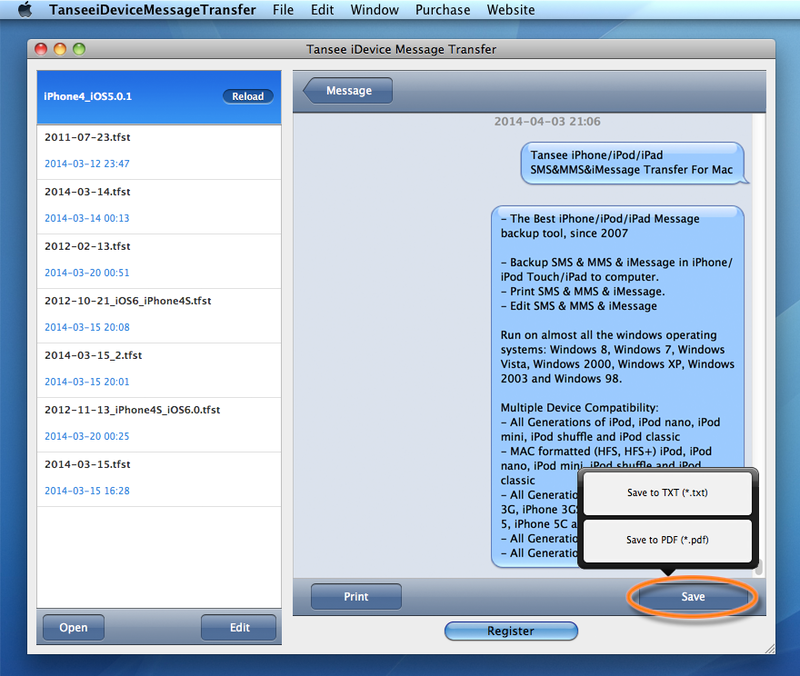 You can choose to save your all iPhone/iPad/iPod SMS&MMS&imessages to your MAC in Text or TFST format. Click the single contact, and you can copy all SMS&MMS&imessages from this single person to your computer in Text or PDF format. b, Save SMS&MMS&iMessage as PDF file format. And then print.